We check over 450 stores daily and we last saw this product for $95 at Lulu Frost. 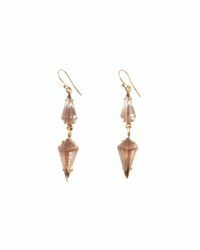 These delightful and delicate drop earrings feature smokey pale mauve faceted gems held by gold brass accents. 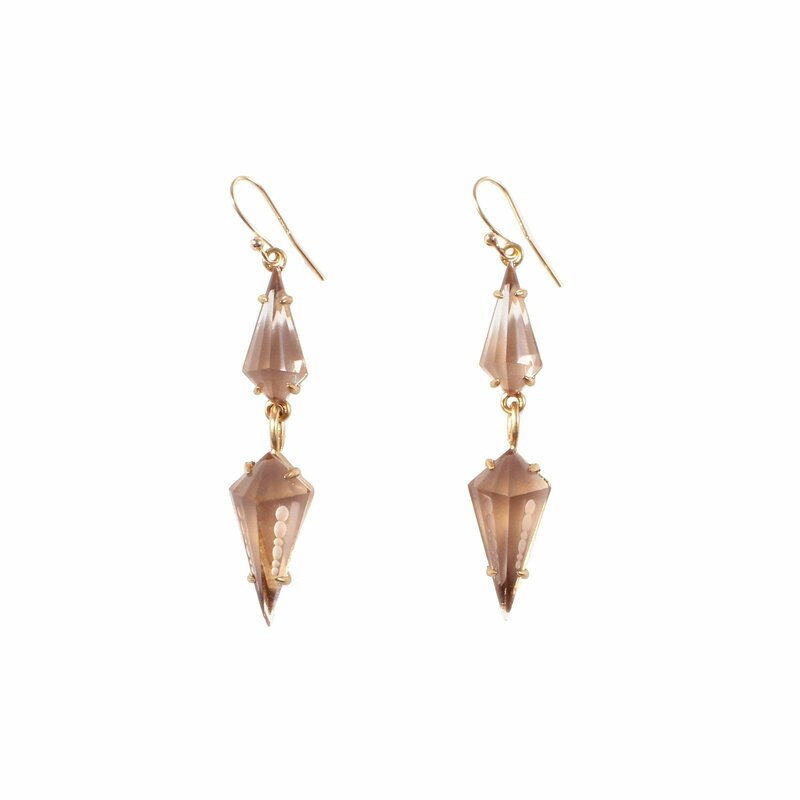 Materials: antique gold tone plated brass, crystal. Measures: 2" length, 1/2" at widest.